Have you ever purchased medication and the dosage is too much for what you need? Have you tried convincing your children to take the medicine but they give you a hard time because they hate the way it tastes? Thanks to medication compounding in Michigan Avenue Chicago Illinois, you can find a way past these different issues! Compounding can be used for a number of different reasons such as changing the flavour, adding flavour, changing the dosage, substituting ingredients, plus much more! Is your sick child stubborn when it comes to taking medication? Try adding flavour to it! When you come to Well Future Pharmacy, you can use our compounding services in order to change or add flavors to medication. We have many different flavors you can choose from. It is as easy as supplying us with the medication you want altered and telling us what you are looking for. We can also do this for your medicines as well. No one wants to take something that tastes gross on a regular basis! Are you allergic to certain kinds of ingredients that are used in medicines? If so, you have nothing to worry about! We have the capability to change and swap out the ingredients in your medicine while retaining the same level of effectiveness. This is great for when you are given a prescription for an illness you are battling but you have a severe allergy to something in the medication. Well Future Pharmacy has your back! Is the dosage of your medication simply too much? Are you trying to take some medication to help maintain your health, but you do not want a large dosage? Perhaps the dosage of your medication is not enough to battle your health condition? We can help you out with that as well! When you come to us, just tell us the dosage you are looking for and we will simply lower it or increase it according to your needs. It is really as simple as that! 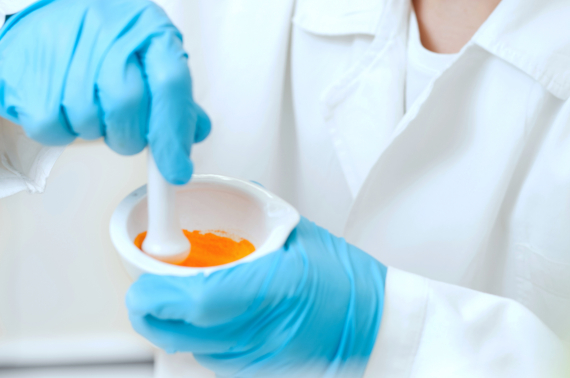 If you want to learn more about our compounding services or about the other kinds of services we have available, feel free to visit our website wellfuturepharmacy.com for more information. If you have any questions for us, please give us a call today at 312-589-7620. This entry was posted in Compounding Pharmacy, Pharmacy and tagged best compounding pharmacy, compounding. Bookmark the permalink.